A generator is ideal to have especially if you experience many power outages in your area or if you go on a lot of sporting events. They provide electricity when you need it the most. 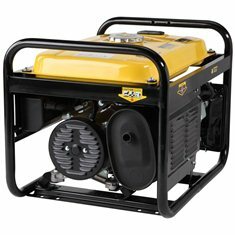 Portable generators can be taken camping, tailgating parties, etc. To locate the top rated portable generators search online and read the consumer reviews to compare and see which one would fit your needs the best. Here are a few good choices to select from. 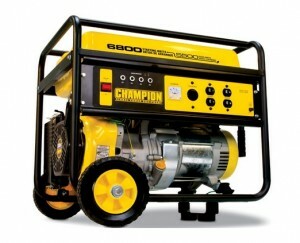 This Champion Power Equipment 41135 Gas Powered Portable Generator is carb compliant and is sold in all 50 states. It has a Champion 338cc four stroke OHV engine with a cast iron sleeve to protect it. It weighs about 185 pounds. It costs about $700 online and earned 4.5 stars from Amazon reviewers, making this one of the top rated portable generators you could buy. It has 8 inch wheels and can run for up to 11 hours on 50 percent load. This Briggs and Stratton 30469 Gas Powered Portable Generator comes with a wheel kit for easy portability. Its 10 inch tires never go flat. It runs on 6,000 watts continuous and 7,500 watts surge. It is non carb compliant and is not sold in the state of California. It has an hour meter along with rubber outlet covers. There are four household 120 volt outlets and one 120/240 volt 30 amp locking type outlet. It comes with a seven gallon fuel tank and a 1650 Series 342cc OHV engine for added power. It can run for up to 12 hours at half load. It costs about $779 online. 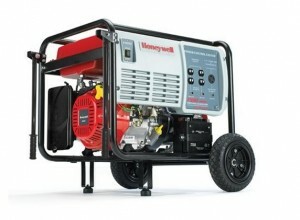 This Honeywell HW 7500E 9375 Portable Gas Powered Home Generator comes with an electric starting system and has a 4 stroke 15 hp 420cc OHV engine. It earned 4 stars from almost 50 Amazon reviewers, making this one of the top rated portable generators available on the market. It can run for up to 7 hours at 50 percent load. It weighs about 210 pounds and there is a cast iron sleeve to help protect the engine. Its oversized muffler helps keep the generator operating quietly. It runs on 7,500 watts continuous and 9,375 watts surge. There are never go flat tires and it comes with a three year warranty. It is non carb compliant and is not sold in the state of California. It has a handle kit and you will have to assemble the wheels and handle. It comes with various outlets including one 120/240 volts AC outlet, four 120 volt 15/20 amp outlet, and one L14 30 amp outlet. It ha a 420cc Honeywell 15 hp OHV engine. 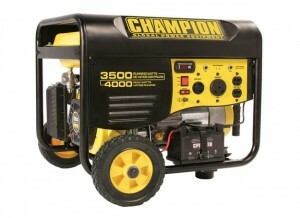 This Champion Power Equipment 46539 Gas Powered Portable Generator has a wireless remote electrical starting system. It is carb compliant and is sold in all 50 states. It can run up to 12 hours on 50 percent load. It has 8 inch wheels and a portability kit. This unit has various outlets including one 120 volt duplex outlet, an rv receptacle, and one 120 volt twist lock. It runs on 4,000 watts surge and 3,500 watts continuous. It weighs about 140 pounds and it has a cast iron sleeve for the protection of the 4 stroke 196cc engine. There is engine oil that is included at time of purchase. This generator earned 4.5 stars from more than 85 Amazon reviewers, making this one of the top rated portable generators on the market. It costs about $430 online. 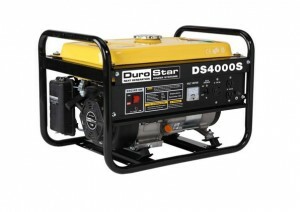 This Durostar DS4000S Gas Powered Portable Generator costs about $330 online and it received 4.5 stars from more than 190 Amazon reviewers. It has an EZ pull coil start along with a fuel capacity of four gallons. It is non carb compliant and is not sold in the state of California. It can run up to 8 hours on 50 percent load. It has an automatic oil shutdown to help save the life of the engine. It has a 7 hp 4 cycle OHV engine. It runs on 3,200 watts continuous and 4,000 watts surge. It comes with a wheel kit and a one year limited warranty. There are various accessories including one 120 volt 30 amp twist lock and one 120 volt three prong 20 amp outlet. 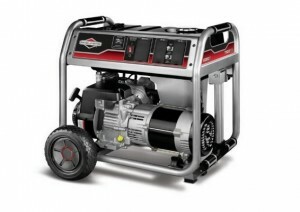 These are all among the top rated portable generators that are worth considering. They offer plenty of features and capabilities along with accessories, allowing you to get the full usage out of the generator. The convenience of being able to take it camping, in your RV, or to a sporting event is something to also consider alongside working in your home either to power up lights or tools.